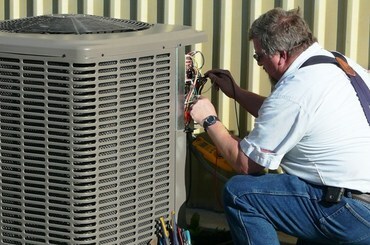 Our technicians have extensive experience repairing air conditioning systems. No matter the make, model, or brand our technicians have the solution for your air conditioning system. Ken’s Heating and Air is a family owned air conditioning company and has been since 1978. In that time we have developed relationships with Marble Falls and the surrounding communities, allowing us to build a reputation for honesty and excellent air conditioning repairs. Get Comfortable With Us! Besides the years of field experience, our technicians have also been factory trained to quickly and efficiently diagnose your air conditioning system no matter what make, model, or brand it happens to be. In addition to factory training all of the technicians at Ken’s Heating And Air are fully registered by the great State of Texas to repair your air conditioning system. They are also certified to handle all types of refrigeration to ensure the safety of you and your family. Ken’s Heating And Air isn’t your normal air conditioning repair company. We are a second generation family owned a/c repair company that believes in treating its customers like family. We employ only the best air conditioning technicians and they have been with us for years. We believe in the quality of work we provide and we stand behind it. We would love an opportunity to earn your business and look forward to providing you with the best air conditioning repairs, installation, and maintenance. Get Comfortable With Us!